Popular Mechanics joins Volgi and ‘Puter in their complete and utter loathing of the Cavalier. 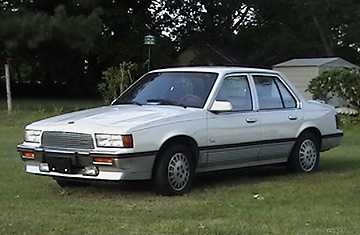 Actually, PM just says that the Cadillac Cimarron, essentially a repackaged Chevy Cavalier, is one of the 10 cars that has irreparably damaged the GM brand. Unfortunately, PM left off the Cavalier itself, an unforgivable sin.